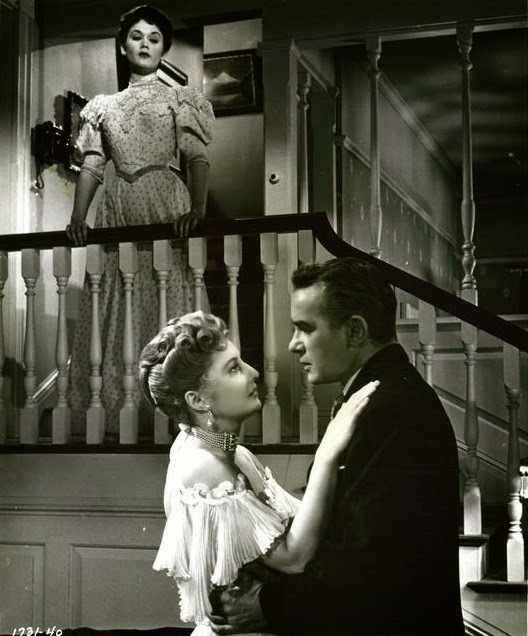 A sharp, emotionally intricate period drama from Douglas Sirk, All I Desire stars the redoubtable Barbara Stanwyck as Naomi Murdoch, a struggling vaudevillian sick of playing to unappreciative audiences in hick towns and the poorly paid itinerant lifestyle of boarding houses and pawn shops that comes with it. Receiving a letter from the family she abandoned in Riverdale, Wisconsin, Naomi impulsively decides to return home to visit them in time to see her daughter Lily (Lori Nelson) take the lead in her high school play. Lily is delighted to be reunited with her mother, whom she believes to be a great actress touring Shakespeare in Europe, but Naomi's reception is otherwise decidedly mixed: eldest daughter Joyce (Marcia Henderson) is positively frosty, son Ted (Billy Gray) seems dubious while husband Henry (Richard Carlson) looks like he's seen a ghost. The gossiping townsfolk, meanwhile, are delighted to have an opportunity to revive an old scandal: Naomi having left in the first place after her torrid affair with local outdoorsman Dutch Heineman (Lyle Bettger) became public knowledge. Naomi nevertheless manages to rekindle her relationship with her children and Henry, at the expense of his burgeoning romance with fellow teacher Sara (Maureen O'Sullivan), before the reappearance of the dogged Dutch brings matters to a head. Taken from Carol Ryrie Brink's 1951 novel Stopover, All I Desire is a superior small-town melodrama that features several of Sirk's pet themes in embryonic form. The prurience, snobbery and hypocrisy of Middle America would recur in All That Heaven Allows (1955) while Naomi's battle with the embittered Joyce echoes the mother-daughter tensions at the heart of Imitation Of Life (1959). A more modest and contained affair than those big canvas weepies, All I Desire provides a marvelous showcase for Stanwyck, whom I think I admire more and more with every film I see. Stanwyck made another film with Sirk, 1956's THERE ALWAYS TOMORROW, which, like their earlier collaboration, is a look at the stiflings of small-town life in contrast to the loneliness of big-city living, only set in modern times. She plays a fashion designer returning to her roots in a suburban city where she meets old-flame Fred MacMurray, now married to Joan Bennett and with 3 kids - there's again the clash of independent living with the settled married life, with MacMurray feeling disaffected by what he has. Sirk was a fascinated observer of 1950s American values, and Stanwyck really got under the skin of those independent-but-lacking female characters of that era. Thanks GOM, I've never heard of that one but it sounds awesome! Relatively new to Sirk but already a big fan.